So sorry to hear of this lose. Thoughts and Prayers for the Family. May the Gates of Heaven welcome you. 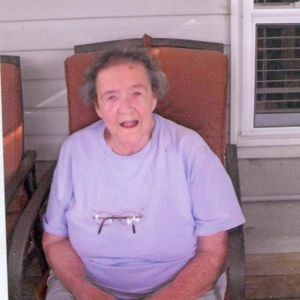 Granny you will be missed, I'll always remember just how nice you were to Ravin and I. May you R. I. P.
Life Stories provides friends and families a forum to post their favorite stories and memories of Nancy Edison ensuring the precious experiences are never forgotten. Share joyful times, post a photo that captures the moments you cherish, and allow others to reply, relive and remember.